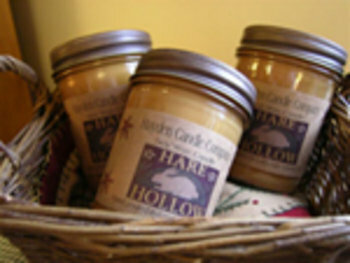 A delicious exclusive scent made just for Hare Hollow. This 8oz. jar is filled with the goodness of the store. A special blend of spice and fruit with a touch of country charm and a pinch of homespun delight! Long lasting and clean burning soy.